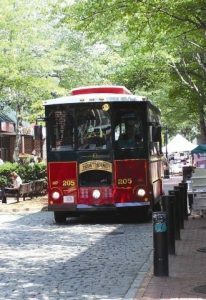 Chauffeured by the Salem Trolley, the day began with a step back in time aboard one of the Trolley’s special tours. After dark, the spirits of Salem come alive for the Salem Trolley’s “Tales & Tombstones” tour. This hour-long, narrated tour takes you through scenes of murders, ghosts, secrets, curses, and legends. Spooky and often silly, this tour is a must for visitors interested in Salem’s colorful history (just make sure that one of the tour’s many spirits didn’t hitch a ride on the trolley with you!). “Tales and Tombstones” is available on Fridays and Saturdays, July-August, and Thursdays-Sundays in October. Be sure to reserve your tickets today – this popular tour sells out quickly! 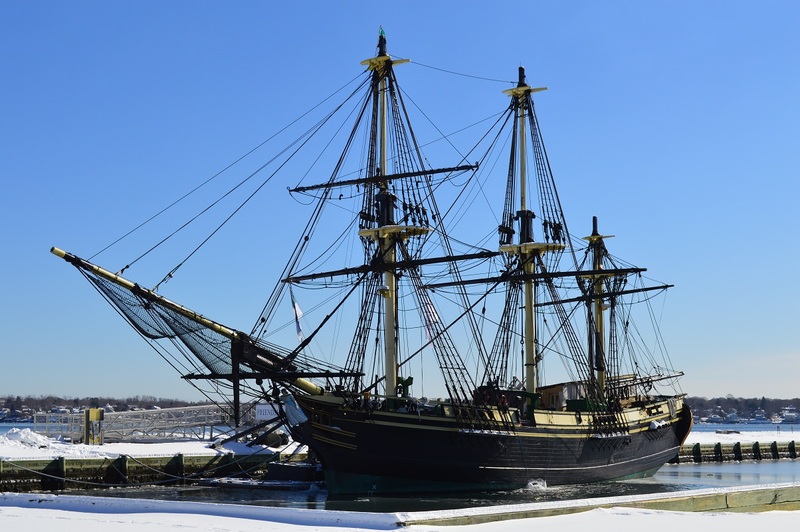 After looking back at Salem’s scarier history, we were treated to trip aboard the Friendship, the National Park Service’s replica of the 1797 Salem East Indiaman Friendship. 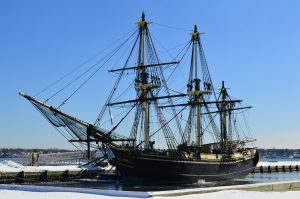 A fascinating look into the mercantile shipping and trading, the Friendship is a great place to start exploring Salem’s history as a bustling port. The Friendship is open for tours year-round (please schedule your tour in advance November through April). 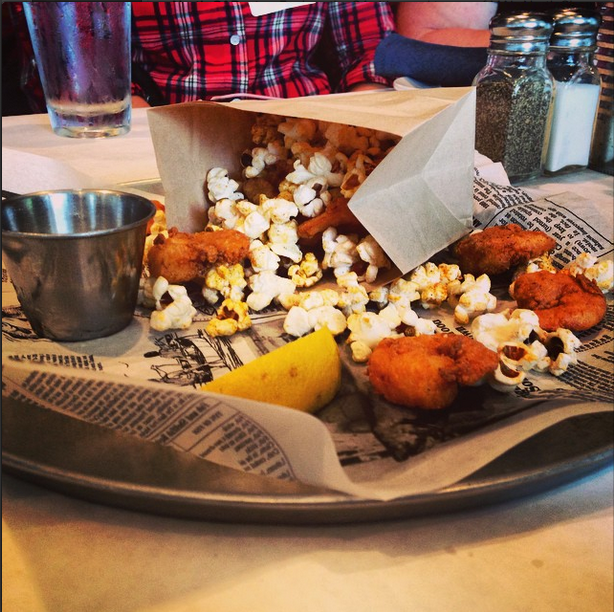 Once we were finished roaming the high seas, we were treated to lunch at Salem’s newest restaurant, the Sea Level Oyster Bar. With unparalleled views of Pickering Wharf, Sea Level offers the freshest seafood, incredible gourmet pizzas, and so much more. 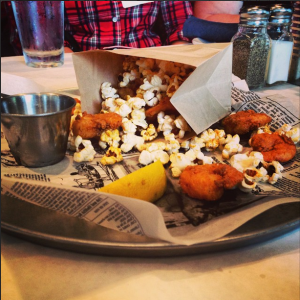 The menu is a can’t-miss – everything is great (Sea Level’s chef, aside from being crazy-talented, was a contestant on TV’s “Hell’s Kitchen”). Did we mention the amazing indoor/outdoor bar on the second floor? After lunch, it was time to explore Salem’s glamorous side. A city of infamous history, scenic waterfront, and gorgeous architecture, it’s no wonder that several movie and television productions have used the city as a backdrop. 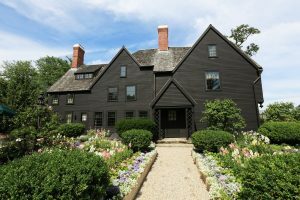 Salem Historical Tours’ TV & Movie Sites Tour takes you around to various locations featured in such films as “Bride Wars,” “Hocus Pocus,” “American Hustle,” and more. Our day in Salem ended with a trip to the House of the Seven Gables. The inspiration for Nathaniel Hawthorne’s novel of the same name (Hawthorne’s cousin, Susanna Ingersoll owned the house), it is immensely appealing for bibliophiles, history buffs, and fans of architecture. A tour of the house gives you an insight into life in the 17th-, 18th-, and 19th-century Salem, marking structural and cosmetic changes to the house. This 359-year-old landmark does not disappoint. Also located on the property are the Retire Beckett House (1655), Hooper-Hathaway House (1682), Nathaniel Hawthorne’s Birthplace (1750), and The Counting House (1830). During your visit, be sure to meander through the gorgeous Seaside Gardens which encompass four centuries of planting schemes. For more information on Salem (including upcoming events, itineraries, and a terrific blog), visit www.salem.org.